GEN3 Electric (215) 352-5963: Why doesn't my outlet work? This is a picture of an original 1960 cloth covered romex. It is 14/2 with a smaller #16 ground wire. The circuit was tapped off of in the 1980's-2000 with a newer plastic 14/2 romex wire. Looking at the heat damage here you can see that this may have not been the best idea. Also notice the amount of dust, dirt and debris in the outlet box. 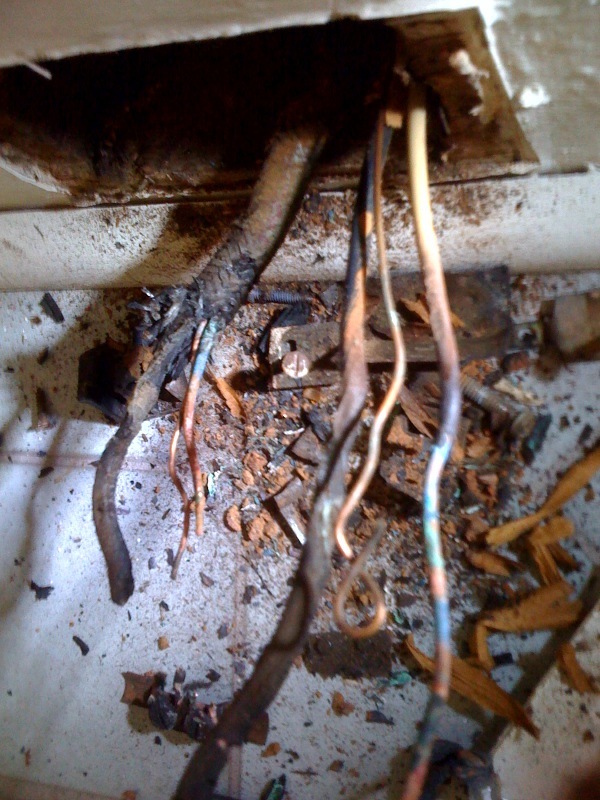 This occurs often when outlets are installed in the baseboards. Baseboard outlet do give a place a classic look but there is a reason that they are not installed there in newer homes. The dirt and dust is often combustible. 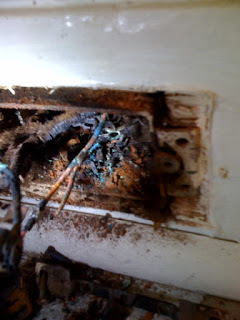 I do recommend that baseboard outlets get replace more ofter and the boxes cleaned.